So begins acclaimed critic and novelist Darryl Pinckney’s debut novel, High Cotton, an elegant and insightful look into the world of upper-middle-class black elite, or, in a term popularized by W. E. B. Du Bois, “the talented tenth.” The story follows an unnamed narrator as he moves from his safe childhood in conservative Indianapolis to a brief tenure as minister of information for a local radical organization, to eventually settling into the life as an expatriate in Paris. Through it all, his imagination is increasingly dominated by his elderly African American relations and the lessons of their experiences in the “Old Country” of the South. 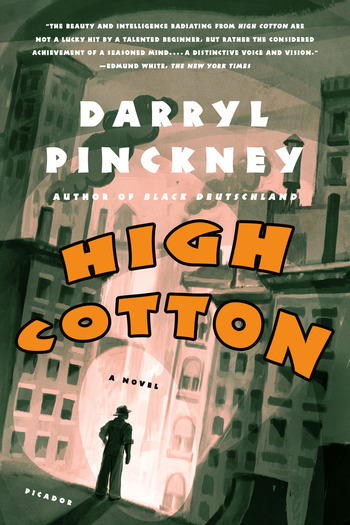 Challenging the traditional form of the novel in its use of both fiction and autobiography, High Cotton, winner of the Los Angeles Times Art Seidenbaum Award for First Fiction, signaled the arrival of a powerful literary force in American letters. DARRYL PINCKNEY, a longtime contributor to The New York Review of Books, is the author of Black Deutschland,and two works of nonfiction, Blackballed: The Black Vote and US Democracy and Out There: Mavericks of Black Literature. He has also collaborated with Robert Wilson on theater projects, most recently an adaption of Daniil Kharm's The Old Woman. He lives in New York.